Which brings us, sighing from exhaustion, to ‘The Girl in the Spider’s Web’, a film that introduces us to the third Lisbeth Salander in eight years — and if Sony, the studio backing it, has its way, hopefully the last — kicking off a definitive new franchise. Stieg Larsson’s best-selling ‘Millennium’ series was first transplanted to the screen in 2009 with all three books adapted and released within months, introducing star Noomi Rapace to Hollywood. Just two years later, Sony lured David Fincher to an English-language take on the first novel, scoring Rooney Mara an Oscar nomination, and while box office results were decent, they weren’t quite decent enough to justify a $90 million budget. It meant that despite interest from Mara a sequel fell through and instead a cheaper option came to fruition. With half the budget, Evil Dead remake director Fede Alvarez took the helm and rather than continue with the original planned trilogy, the fourth book was chosen, written by David Lagercrantz long after Larsson’s death. On paper, it might seem puzzling to drag Salander back to the screen yet again, but it’s clear from the first 15 minutes that Sony is hoping to position her as a female alternative to James Bond (something Alvarez has also confirmed). 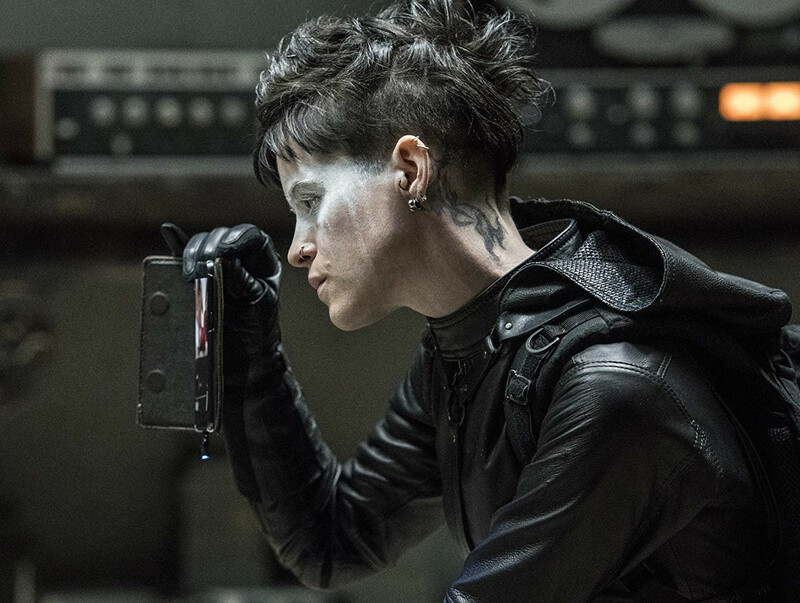 This might also seem puzzling to fans of the books, given that Salander’s stories have traditionally been structured as page-turning mysteries, but ‘The Girl in the Spider’s Web’ is an unashamed attempt to bring in a wider audience at a time of increased female visibility in the action genre. It’s a sleek, efficiently made slab of entertainment but one that borders on anonymity, Salander’s idiosyncrasies buried underneath a more multiplex-friendly exterior, kicking and shooting her way to inevitable triumph. After breaking out with ‘The Crown’, Foy has made a number of choices that suggest she’s all too aware of the danger of typecasting when playing a role of such magnitude. This year alone she’s played a woman questioning her sanity in Steven Soderbergh’s not-quite-fun-enough exploitation thriller ‘Unsane’ and the frustrated wife of Neil Armstrong in Damien Chazelle’s middling space race drama ‘First Man’. In both films she rose far above the material she was given and it’s a skill that continues here, her commanding presence adding weight to a character who isn’t afforded much depth. Alvarez’s history within the horror genre (he also directed sleeper hit ‘Don’t Breathe’) means he’s a dab hand with some effectively nasty gore and while his ability to choreograph hand-to-hand combat is scrappy, he’s got an eye for a sweeping cinematic vista. Coupled with a grandiose score, there’s a slick competency on show. It’s watchable enough but let down by a strange lack of interest in presenting Salander as anything but an engine to propel a plot. More female action heroes is by no means a bad thing but forcing Salander into Bond’s shoes feels like a misstep, her intellect and survivalism suited to far more interesting pursuits. 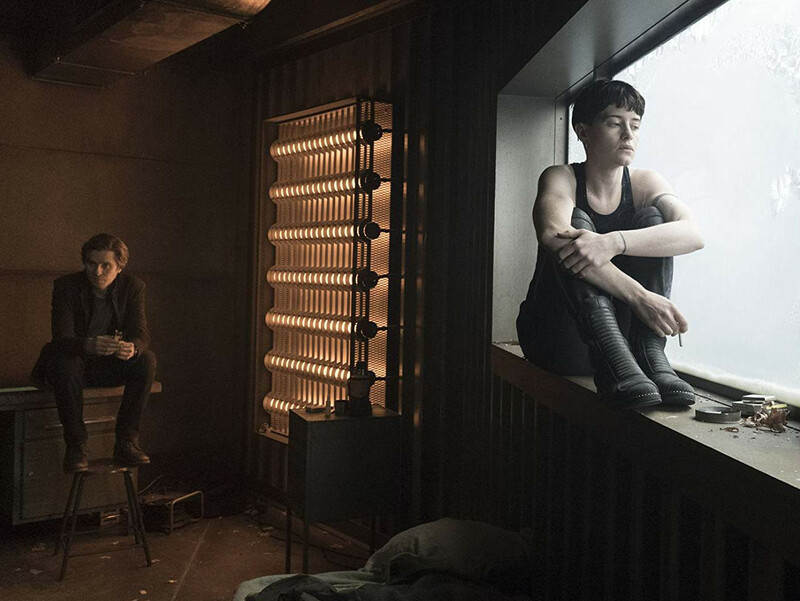 ‘The Girl in the Spider’s Web’ is trapped in the wrong genre. ‘The Girl in the Spider’s Web’ releases in the UAE on November 29.